Stone Fruit, Stephen Yenser’s highly anticipated third collection published by Waywiser, dazzles, delights, and enchants with its wordplay, predilection for sound effects, and linguistic brilliance. Profound and beautiful, meticulous, bristling with erudition, it sizzles with versatility and sophistication. Both modern and timeless, it resonates into past centuries, at times elliptical, at times mythic, the work of a maestro at the top of his craft. Yenser’s debut volume, The Fire in All Things, was selected by Richard Howard to receive the 1992 Walt Whitman Award of the Academy of American Poets. Blue Guide, his second, was published in 2006. The poems in Stone Fruit span wide geographic distances, from the California Joshua Desert to the Cycladic Islands in Greece, from Kansas to Massachusetts, via various locales in Los Angeles, and are to be savored, “Lost as the map, with no directions to follow / Except those of deranged Joshua trees, / And rootless, extravagant as tumbleweed.” We can hear echos of Emily Dickinson’s “Done with the Compass — / Done with the Chart!” Yenser makes for a very unusual travel guide — constantly surprising with unabashed and contagious joie de vivre — whose range is astonishing. Here we encounter personal, lyrical, and meditative, as well as political and ekphrastic poems, along with a couple of exquisite translations from Hölderlin. The book was written in part in memory to James Merrill, who was a friend. With J. D. McClatchy, Yenser serves as co-literary executor of Merrill’s estate and co-edited Merrill’s Collected Poems, Collected Prose, Collected Novels and Plays, The Changing Light at Sandover, and Selected Poems. He is at work on Merrill’s Selected Letters. Yenser is a mesmerizing orator to boot, providing delightful anecdotes. If you have a chance to hear him read, by all means do. He confided impishly that he was dying to touch the hair, and nobody would have known. “An urgent yearning, an awful favor / rises … I’m dying to ask it.” At the reading, he shared that maybe if you touch it, you don’t get the poem. He got the poem instead, lucky for us. I have to admit that, being half Greek, I am partial to the poems set in the Aegean, on the islands of Sifnos and Santorini. Yenser has an affinity for Greece where he has spent quite some time. The poem “Cycladic Idyll: An Apologia” is a compendium of reasons why he keeps returning. It starts, tongue in cheek, with an epigraph uttered by his friend William Edinger: “I don’t know why you don’t just go over to Catalina.” The list is vast and lends itself to all sorts of puns and verbal acrobatics, starting with the rhyming opening lines: “I come here for the views. / I come because there is no news.” It keeps building, thanks to Yenser’s particular wit and stylistic precision, and growing in emotional depth to explore history and etymology. “Cycladic Idyll: An Apologia” is eleven pages long. The second section — of six — is dedicated to Edward Lear, best known for such works as The Book of Nonsense, including the famous “Owl and the Pussycat”. Lear was also a landscape painter. The Gennadius Library in Athens owns two hundred of his Greek sketches and watercolours. Yenser also pays homage to Walt Whitman: “I come here to sit at length and read some Whitman, who adored / words plain as stones, regardless of those exultant / exaltations of ‘eidolons’.” According to Merriam Webster, an eidolon is a “an unsubstantial image, a phantom.” Wikipedia describes it as “a spirit-image of a living or dead person; a shade or phantom look-alike of the human form.” Yenser’s vocabulary is so rich that I picked up several new words along the way. The book is haunted by the presence of many poets and artists, starting with the cover painting of St. Jerome by Leonardo Da Vinci, as well as by “hard men faceless and various as the stones themselves” who have labored over the years to build stone walls. I come back because I cannot stay away. Because I cannot stay. ______rather. Like a vow. A vow of silence, say. ______imaginal beneath my feet. To take it and to leave it, then. “I come here to address not deconstruction but myself. _______faceless and various as the stones themselves. _______are their bonds with this world. Each has many, many headstones, none with a name. _______a wall, and walls make farming, and farming, homes. 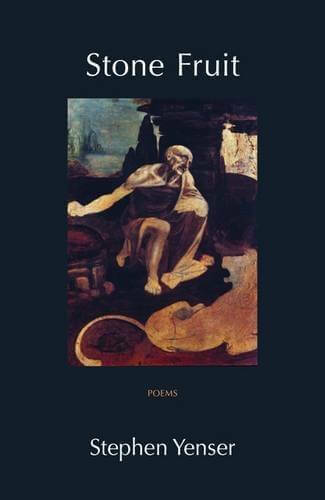 It is worthwhile noticing that St Jerome appears petrified on the cover painting, “where Leonardo’s oil turns stone / his painstakingly underpainted / saint, face anguish-lit, his man / in the moon reflecting radiance”. The definition of a stone fruit, or drupe, is a fruit with a stone or pit inside. Inside the stone is the seed. They are named thus because the seeds keep their covering. In such a way the book reveals itself to be an ode to rebirth. “The poetry of the earth is never dead,” wrote Keats. These stones are alive and speak to us through time. “It is poetry that constitutes our deepest memoir,” confides Thomas McCarthy in Merchant Prince. Indeed, Stone Fruit, astounding and revelatory, radiates with Stephen Yenser’s intense genius. This is a mesmerizing opus by a masterful poet. Stephen Yenser’s extraordinary scholarship includes three critical books (Circle to Circle: The Poetry of Robert Lowell; The Consuming Myth: The Work of James Merrill; and A Boundless Field: American Poetry at Large. He is distinguished Professor Emeritus at the University of California, Los Angeles, where he was director of Creative Writing. He curates the Hammer Poetry Readings Series at the Hammer Museum. Hélène Cardona is a poet, literary translator, and actor, the recipient of numerous awards including a Hemingway Grant and the International Book Award. She is the author of three collections, most recently Life in Suspension and Dreaming My Animal Selves (both from Salmon Poetry); and four translations: Beyond Elsewhere (Gabriel Arnou-Laujeac, White Pine Press), Ce que nous portons (Dorianne Laux, Editions du Cygne), The Birnam Wood (by José Manuel Cardona), and Walt Whitman’s Civil War Writings for the Iowa International Writing Program’s WhitmanWeb. Cardona’s work has been translated into 14 languages. She has taught at Hamilton College and Loyola Marymount University. 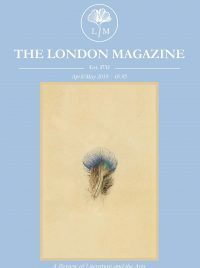 Publications include Washington Square Review, World Literature Today, Poetry International, Hayden’s Ferry Review, Dublin Review of Books, The Brooklyn Rail, Drunken Boat, Asymptote, The Warwick Review and elsewhere.